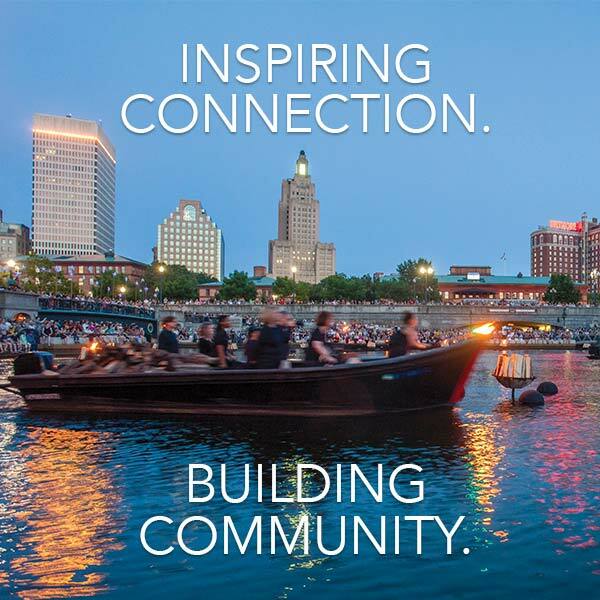 WaterFire Providence presents a full lighting on Saturday, June 18th sponsored by CVS Health Charity Classic and The Providence Journal. The lighting is scheduled to start at 8:49 p.m. and is set to run through 12:30 a.m. This is the music program for this specific event. You can follow @WaterFire Music on Twitter for live Now Playing updates during the event. If you’d like to print this page or download the music program as a PDF please use the Print This Page button located below the song list. Many of the songs on the WaterFire Providence soundtrack are available for purchase on iTunes. Click on the title of one of the songs to purchase and download that track from iTunes, a portion or each purchase is returned to WaterFire Providence. Get the June 18th, 2016 music program as a Spotify playlist. performed by Nicholas Lens, et al. The following song and the twelve tolls of the bell are dedicated in honor and remembrance of those who were killed in the tragic June 12th shooting attack in Orlando, Florida, and in solidarity with the survivors and LGBTQ community. Please join us for a torch lighting ceremony on the Confluence, on the river at Steeple Street between Canal Street and Memorial Boulevard, at this time. © 1994 - 2018 WaterFire is a copyrighted work of art created and owned by Barnaby Evans. WaterFire® and WaterFire Providence® are registered trademarks of Barnaby Evans and are used under license. WaterFire logo and variations ©1997 by Barnaby Evans.